Registry is a centralised database where Windows stores information about how it is configured. It contains information and settings for all the hardware, operating system software, most non-operating system software, users, preferences of the PC, etc. If your Registry gets damaged your system may be rendered unusable. Even minor Registry errors can cause programs to crash or behave erratically. So I will tell you How can you backup and restore your Registry easily. 2. 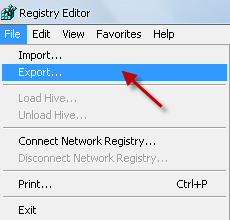 On the File menu, click Export. 4. 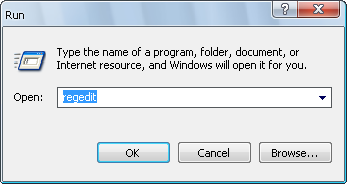 Give a file name, and then click Save. 3. Choose the backup file you created. 4. You have restored your Registry. This method works both for Vista and XP. You must be logged in as Administrator. Also see the official method suggested by Microsoft.